Pictures by Sjurlie Fotografie, model Ellena ( height 1.74m) wears a size M.
Soldier Heidi Braces pencil skirt from Collectif. Edgy pencil skirt in a soft and comfy stretchy olive green cotton: perfect for this season! 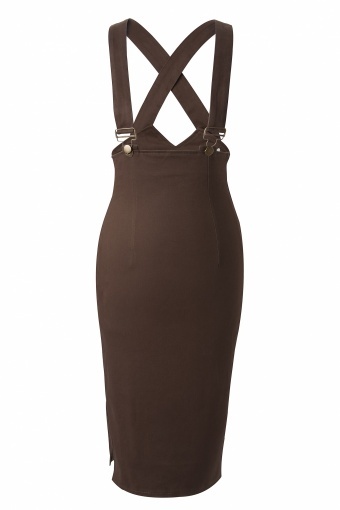 Split on every side, high waist skirt and detachable and adjustable braces. The blouse sold out.